Providing customers with the most suitable products and the most satisfactory service is our mission. The high quality service of our company has attracted many customers to visit. On Aug. 9th, 2018, it was really our honor to have the nice American customers visiting Best Technology. We have met each other before. The point to the meeting was to discuss the matters that something need to pay attention to cooperation in the follow-up. What’s more, they would like to get more information about our products, such as thick film ceramic PCB, thin film ceramic PCB and DCB Ceramic PCB. 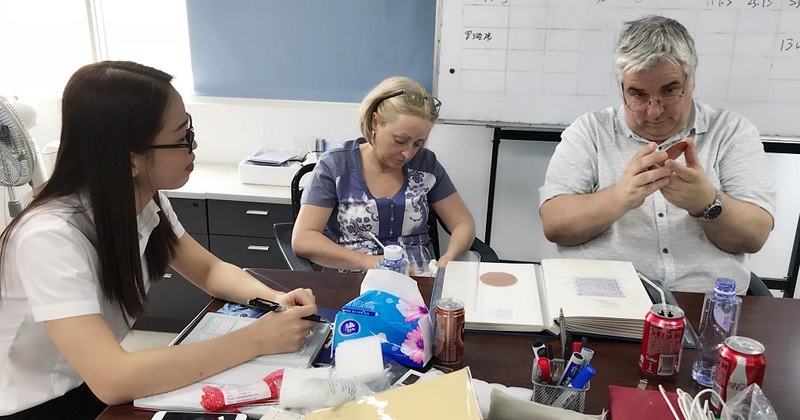 Meanwhile, the customers also wanted to visit our factory of printed circuit board to see the production process and capacity of the printed circuit board. So after the short meeting, we took the customers to visit the different workshops of production and explained the details that need to be paid attention to in each process of production. The customers were really satisfied with our services and looked forward to our next cooperation. Best Technology always holds the mission that provides customers with the most suitable products and the most satisfactory service, so our company decided to launch the new ERP system in September 2018. With the expansion of the market, the demand for printed circuit board is increasing to a higher level. The increase in orders is especially in the products of printed circuit board, such as single layer MCPCB, COB MCPCB, two (double) layers MCPCB, double Sided MCPCB and so on. The launch of the new ERP system will optimize the process from order to shipment and make the operations of business get faster and more convenient. 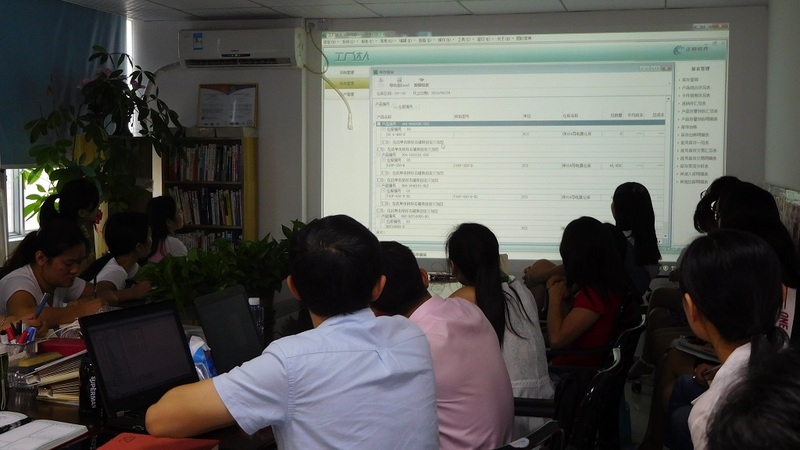 During the training, the members spoke actively and participated in the practical operation of the ERP system. The training not only improves the understanding of situation in work, but also make the management of enterprise get more scientific. Besides, it also shows the company’s determination to become the most distinctive supplier of printed circuit board and metal dome solutions of Shenzhen in 2020. 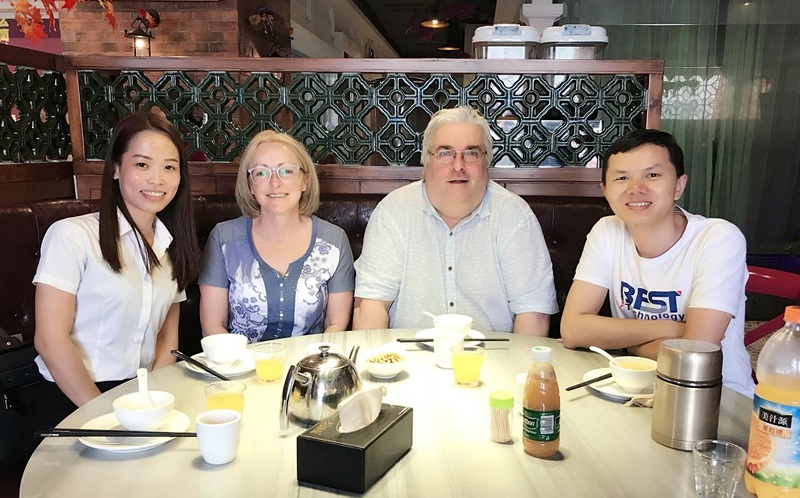 On Aug. 28th, 2018, we had customers coming from Ireland. 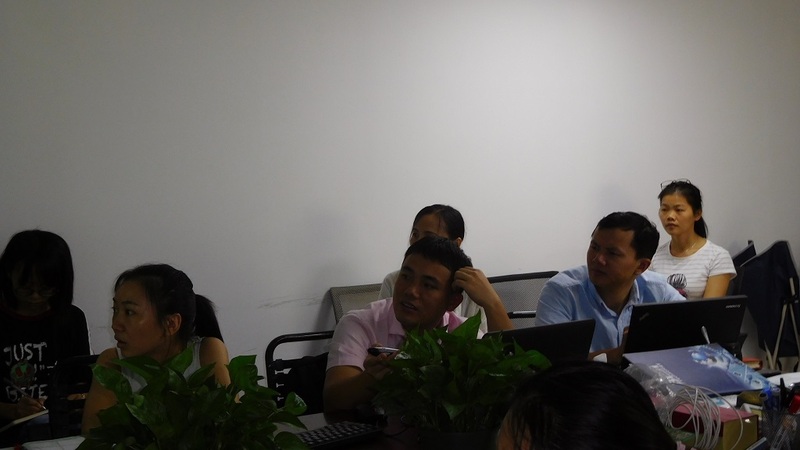 It is the first time that they have come to visit our company to see the samples. We talked about the current situation in UK and it will give our company more new chances to provide Circuit Boards to EU. Believe our Ceramic PCB will support them to develop more market in EU. We also provide other kinds PCB to customers, such as Rigid-flex circuit, FPC, metal core PCB, Ceramic PCB , as well as some special PCB, Heavy copper PCB, High Tg PCB, PCB assembly products. It is quite a hot day Aug 9th, 2018. We have our nice UK customers visit us on such hot day. That’s really appreciated. Both of them are very easygoing, we started to discuss the capability to manufacturing the 14 Layer PCB, customer were concern the impedance control well as well as other specification on the board such as the thickness of the immersion gold. Except FR4 PCB, We also showed other kinds PCB we made to customer, such as Rigid-flex circuit, FPC, metal core PCB, Ceramic PCB , as well as some special PCB, Heavy copper PCB, High Tg PCB, PCB assembly products. After a short meeting in our office, we bring customer to see our PCB Manufacturing Production Line. Firstly we showed customer our different Tests Equipment including Impedance Tester, Copper Thickness Tester, Gold thickness Tester, etc. And then we bring customer to see the different process for how to make the PCB. After that, we go to our QA line to showing customer how we do the board inspection before we send out the PCB to our customers. Customer was very happy and satisfy with everything they see in our PCB Plant. Wish next time we’ll have chance to have lunch or dinner with customer to talk more. You are currently browsing the PCB & MCPCB - Best Technology blog archives for August, 2018.